9 easiest hairstyles in flat 10 minutes to flaunt this Durga Puja! No Indian festival is complete without sweets, ethnic wear and jewellery. We Indians celebrate every festival with the same enthusiasm and zeal. And yes we also dress up with the same enthusiasm. They say Indian gals look their best in a saree and that's not all, their mane has also been talk of the town for ages. The ever green classic braid goes well with sarees as well as traditional wears. To add to its charm adorn a gajra or some big motifs. This one is for the thick mane and also helps to keep falling hair in place. This one best suits the traditional wears. Half up half down hairstyle is for girls who don't like tying up their hair but would also like to keep their hands off from their hair. 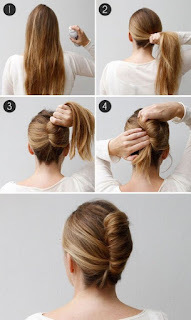 A simple clip or half up hair with bun best suits this hairstyle. The half done hair can be curled a bit or straightened depending upon your choice. Variation ofcourse is entirely your choice. Classic french roll is for woman who love classy hairstyles along with classy ethnic wears. You can adorn a motif on one side to enhance this classic hairstyle. Classic bun goes well with the typical saree worn during Durga Puja. When adorned with a gajra it takes your look to a whole new level. 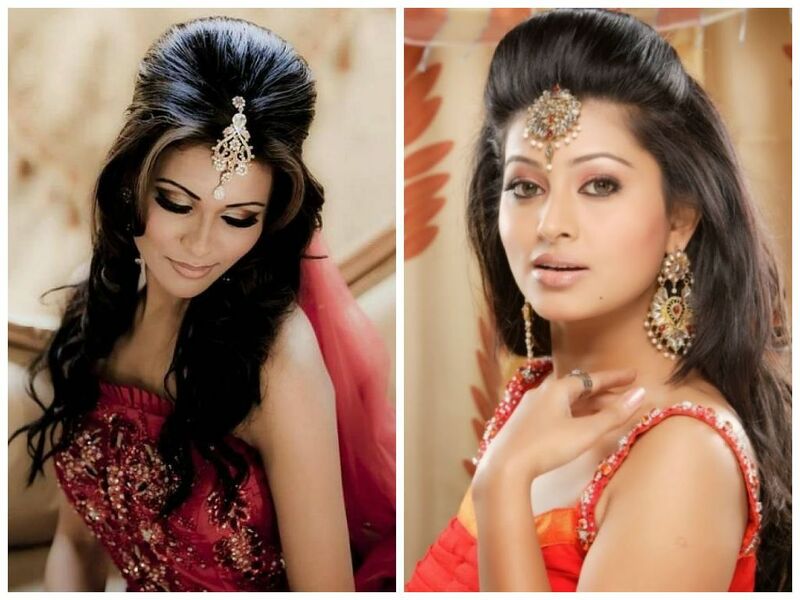 Red bindi with bold makeup suits this hairstyle. During festivals we can appear hyper or excited. 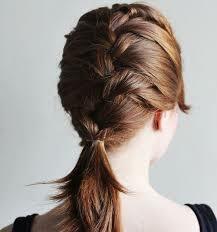 Although no harm in it, a little bit laid back hairstyle will trick into making you feel relaxed. We have something for medium hair length too. Why girls with long hair should have all the fun, right?!! Just kidding :D. Medium length hair will perfectly tuck into this hairstyle and a small flower will definitely make the efforts worth it. Keep it simple silly. Some gals actually live by this motto and this hairstyle is designed for them. 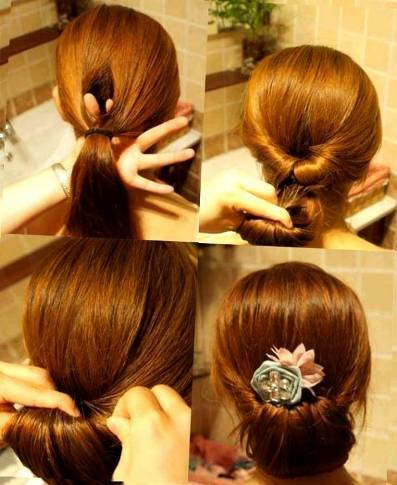 Just sweep your hair on one side and tuck some hairpins on opposite sides so as to keep them in place. Straight, wavy, curly anything goes well in this hairstyle. Some might find fishtail braids during festivals boring. But definitely not after looking into the below picture. So this was the compilation of the easiest hairstyles which can be done by ourselves. During festivals everyone at home is very busy and who gets the time to visit parlours everyday (some do manage!!!). So why not try these hairstyles and flaunt your mane? Suggest some easy hairstyles to add up to the list.